Home of Friday Shot Day, Junkulture Radio, Backseat Mogul, James Lantiegne's Magic Talk and Anime Something or Other and Reel Radio with Kevin Brannon. R. Scott Bolton & Johnny D discuss showbiz news and reviews. Each week features a musical artist. Automated Social Networking Solutions presents Digital Marketing Edge, hosted by James Lantiegne and Matthew Brownfield. This show discusses how to effectively market your business online and drive traffic to your door. Episodes air every Monday at 6PM. To learn more about ASN, visit our website at www.asn-solutions.com. There's no better way to prepare for your weekend than by spending a couple of hours with Los Borrachos Grande and Miss Fireball Julie on The Friday Shot Day Show. It's just a few friends, sitting around, shooting the breeze, drinking some beer and sampling some new liquors. But, after a long week at work, it will get you ready ... See More for the weekend! Magician James Lantiegne and White Rabbit Magic Shop owner Joshua Lantiegne talk about the of magic craft with fellow magicians and fans. Julie and Jim Lantiegne tell you what's up at the House of Magic and around the City of Ventura. Join Reel Angler Kevin Brannon each week as he talks all about fishing and more. Hard rock, heavy metal and punk rock news and reviews with R. Scott Bolton, editor of RoughEdge.com. 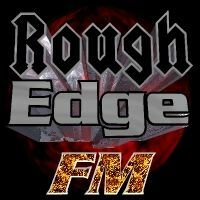 Rough Edge FM is the home of the seven weekly internet radio shows, including the Friday Shot Day Show, the Backseat Mogul Show, Listen Up Ventura and more. Visit http://www.roughedgefm.com for schedule info. Devin Crow, Sammy & Jason and Nathan discuss Anime, Videogames, beer, food and whatever else comes to mind.